The most exciting news of the year in electric vehicles came today with the announcement that Tesla Motors will build its giant lithium ion battery factory in Nevada. It’s a huge vote of confidence in the future of EVs, but at the same time it points to the long road startups face getting their novel battery technologies into cars. Tesla Motors has said that it plans to double the current global lithium ion battery production at a joint Tesla-Pansonic facility in Nevada by 2020 to meet anticipated demand for its electric cars, all while providing a boost to U.S. manufacturing. The factory is expected to be a state-of-the-art facility, but what may surprise people is that the battery cell technology itself is not cutting edge. Tesla’s battery packs contain thousands of commodity cells similar to those used in laptops. There’s a lot of innovation in how Tesla wires all those cells together into packs. 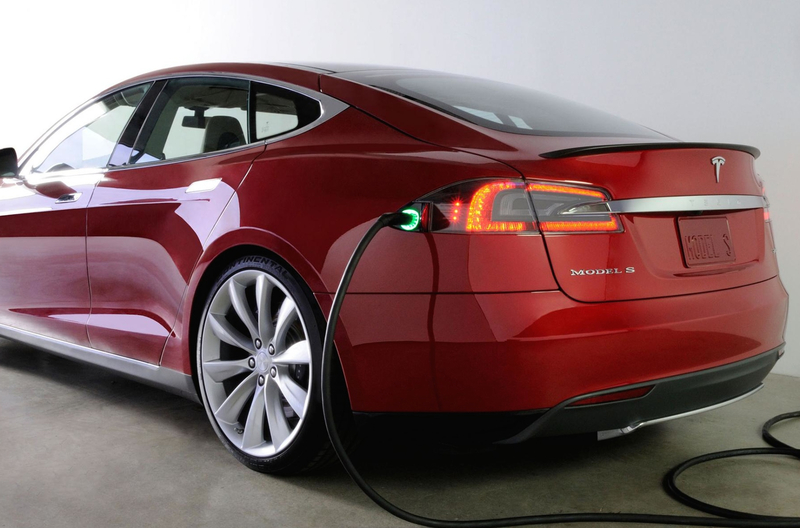 But Tesla intends to reduce pack costs by 30 percent with economies of scale, not fancy new battery technology. That’s not to say that the auto industry isn’t crying out for a battery breakthrough. Large automakers have research programs to find a cheaper and more energy-dense successor to the lithium ion batteries now used in all-electric cars. There are also dozens of startups devising new batteries, some of which use a different chemistry or use new electrode materials for lithium ion batteries. The primary challenge for these companies is technological: their materials need to perform better than those in current products, while meeting the stringent safety and reliability demands of the auto industry. And since we’re talking about materials science and manufacturing hardware, commercializing a new battery type takes years. Last month, Ann Arbor, MI-based Sakti3 said that prototypes of its lithium metal solid-state battery store twice the energy per volume as today’s lithium ion batteries. When I spoke to CEO and founder Ann Marie Sastry, she noted that the company has been at it for six years and they’re still two years away, at best, from releasing commercial products for consumer electronics. “Building an engineered device that is attempting to double the performance of current batteries is not for the faint of heart. You’re signing up for a long period of intense work,” she says. The company has no active programs to build batteries for electric vehicles, but the technology would be very applicable to that market as well. Cracking into the auto industry with any technology takes a while. Automakers typically need about seven years to engineer new products into their vehicles, so any technology company will need to be well funded. But battery companies targeting the automotive market also face a business risk. A123 Systems had good battery technology and even an agreement to supply hybrid carmaker Fisker Automotive. But the demand for batteries never matched A123 Systems’ projections, leaving the company with excess capacity and lost investment in factories. Analyst group Lux Research thinks that Tesla is overestimating demand because even this giant factory won’t lower prices of the company’s planned sedan, reportedly called Tesla Model 3, enough to compete with gasoline-powered cars. “The Gigafactory will only reduce the Tesla Model 3’s cost by $2,800, not enough to sway the success of the planned lower-cost EV,” Lux Research analyst Cosmin Laslau says in the report. Despite these challenges, it’s worth noting that the auto market is gigantic and even incremental battery improvements can help make EVs or hybrids more cost-competitive. And even though the automakers move slower than, say, consumer electronics companies in adopting new technology, the transportation industry has changed dramatically in the past five years. For startups with better battery materials, that means there’s an audience for their products—and no shortage of competition. Please don’t forget the company called Prieto battery, they develope 3d Li ion batteries that charge 5 times faster.